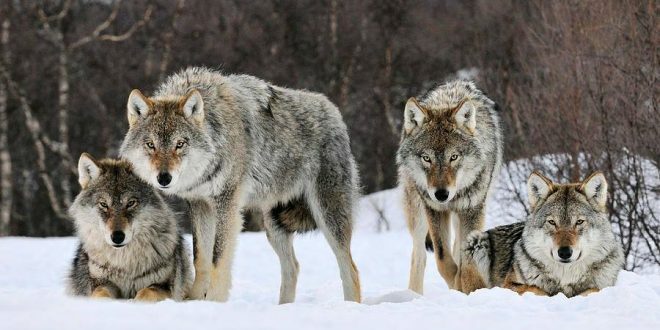 Parks Canada has posted a wolf warning for the Bow Valley in Banff National Park following some bold behaviour by wolves. The warning covers campgrounds and day-use areas. It comes after wolves accessed human food at a campsite. Officials say wolves are showing bold behaviour, including going after human food in a campsite. People are being told to make sure all food, garbage, and pet food are stored inside a building or a vehicle. Parks Canada says children should be supervised at all times and pets should be kept on a leash. Officials say if you are approached by a wolf, act aggressively to discourage it from attacking. People are being asked to report all carnivore sightings to Banff Dispatch at 403-762-1470.